From packing, to loading, unloading, and unpacking; each aspect of long distance moving comes with its own challenges. The challenges can be made easier by having all of the necessary knowledge before executing your move. If you are planning to move from Hawaii to the Mainland, here are some of the most important things you need to know. First of all, you’ll need to find an accurate estimate of transportation cost for heavy items such as your vehicle(s), equipment, appliances, etc. Based on this cost, you will be able to have a better idea whether it is suitable to transport these belongings or sell them in the current location you live in and buy newer ones after reaching your new address. Contact different companies that specialize in moving from Hawaii to the Mainland to get estimates. Having an adequate amount of cash with you will be important if you are moving from Hawaii to the Mainland. It can sometimes be difficult finding the same bank that you have now in your new location. This can make for a challenging situation, so it is best to be prepared in advance. You will also have to consider the different climate conditions you will encounter when moving between these locations. For example, the climate of some cities on the mainland will be warmer than Hawaii. Similarly, in some cities, the temperature remains on the lower side. Knowing about the weather conditions and climate can help you to pack your belongings accordingly. 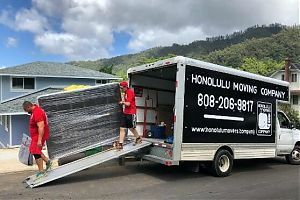 Above all, the most important thing to do when moving from Hawaii to the Mainland is to hire a professional moving company. 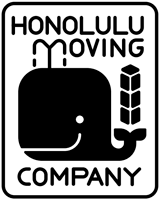 There are many moving companies in Hawaii that specialize in long distance moving service, but the best option is Honolulu Moving Company. We have earned a great reputation for our long distance moving services. We have hired professional movers who have years of experience in handling moving service from Hawaii to the Mainland. We guarantee all your belongings will be transported to your new address in a safe and efficient manner. Cushioned boxes and packages are used to pack goods so that no damage is caused to the fragile goods. We provide very economical rates which will allow you to relocate to the Mainland from Hawaii without breaking your budget. If you have any questions or want more information, feel free to get in touch with us. You can call us at 808-206-9817 or send us an email at honolulumovers@gmail.com.